When the topic of personal injuries and whether there are claims to make or damages to be sought, it often takes some distance before the judgment can be properly made. Some injuries may be apparent right after an accident occurs, while others can show up months later. Either way, Turner & Turner has outlines some important information everyone should know before something happens and what to do after an accident — regarding injury. Q: What constitutes an injury bad enough to contact a personal injury lawyer? A: There is no hard and fast rule about what constitutes a severe injury. We believe that if there is damage to your vehicle there very well may be damage to you, so you need to get checked out. 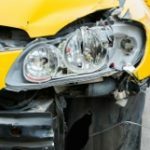 There are countless instances where an accident victim was a little sore after the wreck but didn’t think much about it until they were sent to a doctor to be examined at the suggestion of a personal injury attorney and the checkout turned up issues including broken bones that resulted in surgery. We can’t stress enough: Go get checked out by the doctor whenever you’ve been in an accident, it could save you a huge headache later. Q: What should someone do when they’re in an accident and aren’t obviously hurt? A: After the police come and make a report, if you can drive yourself to the urgent care, just go there. Get checked out. Most insurance will cover the visit, usually with a minor co-pay. Urgent Care doctors will usually be able to discern whether there is really anything wrong and provide a plan for you to either fully recover or direct you to a specialist. This can be incredibly valuable as you seek a claim for your accident. Q: I don’t have medical insurance and I’m worried about the cost, what are my options? A: Depending on the details of your accident, many injury lawyers can connect you with medical care professionals who will treat you on a “letter of protect,” which is a promise to pay the bill out of your potential settlement. This is a great option if you don’t have health insurance or you don’t have money to pay for the doctor’s visit. Q: At what point in this process, should I speak to a lawyer? A: If you are injured on the job or someone else caused the injury, it’s worth talking to an attorney who handles injury law. Most personal injury attorneys are not paid until you get the money that you deserve. Q: What’s the cost of a personal injury lawyer consultation? A: For most injury lawyers, and certainly at Turner & Turner, there’s never a charge for the consultation. If you end up retaining us, you pay nothing unless we get money for you.